Since 1984, HMI has helped communities grow and thrive by educating family farmers and ranchers and pastoralists in regenerative agricultural practices that empower them to strengthen their businesses, produce healthier food, improve local wildlife habitats and protect the environment. Our mission is to educate people in regenerative agriculture for healthy land and thriving communities. Our vision is a world where lands and communities flourish through the practice of Holistic Management, an internationally recognized regenerative agricultural practice. Ann has worked in the nonprofit world for almost 20 years, creating and directing national programs, collaborating with over 100 non-profit and government entities to create positive impact among producers and land stewards seeking to build & maintain sustainable farms, ranches and healthy land. Her fund development work has included raising over $1 million for national whole farm planning training for beginning farmer programming. 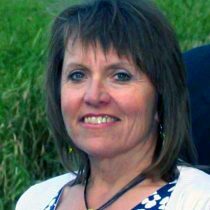 Ann has been a Holistic Management Certified Educator since 1998 and has practiced and taught Holistic Management® in multiple capacities for 20 years. She also has facilitated classes (onsite and distance learning), taught workshops and presented at conferences. She has written countless articles, helped develop agriculture-based software for financial and grazing planning and written a training handbook, At Home with Holistic Management: Creating a Life of Meaning. Ann also taught courses at Indiana University, Wittenberg University, and Antioch College. She earned her BSED from Ohio University and her PhD from Indiana University. When she isn’t serving as our Executive Director for HMI, Ann is Chief Goatherd on her small farm in the Manzano Mountains and Captain of her Earthship (a house made out of tires with photovoltaics, composting toilet and rainwater harvesting) southeast of Albuquerque, New Mexico. Read Ann's blogs. Kathy Harris is passionate about regenerating our lands, fostering health and well being for those who manage them, and revitalizing entire communities through the practice of Holistic Management. She has been involved in Holistic Management since the late 1990s and has experienced first-hand the life-changing impact of making decisions based on a holistic goal. Her love of the land and enthusiasm for nutrient dense, traditional foods pulled her from suburban life and a previous career in technical documentation and training to begin a small farm to provide good food and a venue for home-schooling her two daughters. 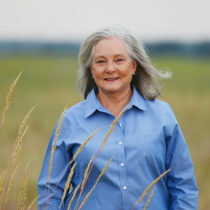 Her 15 years of farming includes cow and goat dairying, raising poultry for meat and eggs, honeybees, fruit and nut orchards, and vegetable gardens as well as managing a 250-acre ranch in Texas, developing infrastructure and enterprises for grass-fed beef and lamb, pastured poultry and native pecans. Her love of learning and helping to preserve the ranching lifestyle and family farms prompted her to pursue training as a Certified Educator, serving as a mentor and helping facilitate the Beginning Women Farmers in Texas program, volunteering with the Kids on the Land program which connects kids to the land while sparking a love for science, and fostering the creation of holistic land management clubs. She joined HMI at the beginning of 2015, working with our Certified Educators to deliver training programs across the world. She spends off-hours creating an urban food oasis in her tiny high-desert back yard, volunteering at local farms and ranches, and teaching others about the amazing power of soil life as a Bernalillo County Master Composter. Read Kathy's blogs. Before Carrie found her home at HMI, she had a career in finance and banking, but her studies and interests were always in Communications, Public Relations, Graphic Art, and Web Design. Carrie is our Director of Communications & Outreach - which is a good thing for her because those who know her best say she never stops talking! She loves working in a field that supports a healthy food system for all, regenerating land and water, empowerment of agricultural producers, and responsible animal husbandry. Some of her other passions include theology, cultural history, the rewarding and fun work she does at HMI, art in all forms, people in general, traveling, hyper-organizing closets, playing in her vegetable garden, trying creative recipes, hostessing dinner parties for friends, and her guilty pleasure - cat videos. But believe us, she could keep going… Read Carrie's blogs. Before making his way to HMI, Oris spent time employed for the only shelter that serves homeless women and children in Albuquerque. There he learned about the stigma associated with homelessness and learned about the unique challenges facing homeless women and children. He is an animal rescuer, bicycle rider, avid gardener, and sun worshiper. Being born and raised in the Land of Enchantment, Oris feels a deep connection with the holistic traditional customs of New Mexico. Avery is the Director of Community Impact Initiatives and Vice President of Soil Health for the Globetrotter Foundation, based in Paicines, California. She has a BA from Hamilton College (2003) and a Master's degree from the Yale University School of Forestry and Environmental Studies (2008). Prior to joining Globetrotter’s team, she was the president of Impairative LLC, a consulting company dedicated to activating authentic relationships between the people, land and animals in our emergent food system by strategically pairing philanthropy with regenerative opportunities. Prior to that, Avery worked for the Quivira Coalition, a non-profit in New Mexico dedicated to building resilience on Western working landscapes, as a program director from 2008 to 2012, and then as the executive director from 2012 to 2015. She has a successful history of building partnerships between diverse constituencies comprised of other non-profit leaders, businesses, philanthropists, ranchers/farmers, scientists, federal and state land management agencies, youth, and tribes. In addition, Avery has experience in fundraising, human resource management, financial planning, risk management, strategic decision-making, and facilitation. 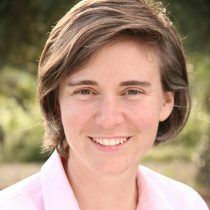 She is a Wyss Conservation Scholar, an Audubon TogetherGreen Fellow and a recipient of the 2011 New Mexico Business Weekly's "40 Under 40" Award. She was a founding board member of the National Young Farmers' Coalition, and currently serves on the boards of Holistic Management International and the New Mexico Farmers’ Marketing Association, as well as the Advisory Council of the Western Landowners Alliance. Avery is deeply honored to join the Board of HMI. With a decade of experience in working with several of HMI’s “sister” organizations, joining the Board feels like “coming home.” HMI is the undisputed leader in regenerative problem-solving and Avery feels fortunate for the opportunity to work in service to this remarkable team. Gerardo joined the HMI Board in November 2015. He serves as a professor in the Animal Science and Ecology department at the University of Chihuahua, is currently a doctoral candidate and has managed his family ranch. Gerardo is passionate about the health of the rangelands of the world and the quality of life in rural communities. He believes Holistic Management is a means to bring these about and sees serving as an HMI Board member as the perfect environment to accomplish it. Kirrily and her husband Derek operate a grassfed beef ranch, The Conscious Farmer, in “Colorado” Quirindi, Australia. Kirrily also writes The Conscious Farmer, a blog of practical regenerative agriculture for farmers and graziers. She and her husband began studying Holistic Management over a decade ago, leading to many positive changes both professionally and personally. Kirrily joined the HMI Board in November 2015 because she wants to help promote the benefits that Holistic Management can make in the lives of others and help build the communities and systems she believes in. Kevin hails from the San Francisco Bay area where he spent many years working for the 11th Hour Project, making and managing many grants in the Ecological Agriculture program. It was through this work he was introduced to the practice of Holistic Management, which Kevin sees as a tool to promote for better environmental stewardship of rangelands. Kevin recently launched his own foundation, The Regenerative Agriculture Foundation, which will allow him an even more opportunities to fund and support efforts in responsible and sustainable agriculture. Kevin joined the HMI Board in 2014 and currently serves as the Development Committee Chair. Jonathan is a fourth generation farmer in the Blackland Prairie near Rogers, TX. He went off to “a better future away from the farm” as the prevailing culture had taught him, where he earned a degree in business. The best part of college to Jonathan was meeting his wife, Kaylyn, with whom he moved to Fort Worth to begin their respective careers in business. However, several years later, the instinct to farm was stronger in his blood than he realized. The two decided in 2007 to move back to the family farm where Jonathan would work with his father until a future transition of ownership could occur. The family farm had taken the shape of most in the industrial era. It had become an efficient machine, void of diversity and at risk to many forces beyond the reach of the family. In addition to a growing unrest and disconnect between their farming methods and their belief that God created the earth for them to steward well, the combination of increasing input costs, low product prices, and increasingly extreme weather-related crop failures had taken the shine off the dreams to continue the family farm. Despite the difficultly of the realization that the family farm would end with his father, Jonathan made the decision to leave the farm in mid-2011. It was a last minute decision to attend a meeting about soil health that changed the trajectory of Jonathan’s life and would lead to an introduction to many of the leading practitioners of regenerative farming. The common thread among the leaders Jonathan met was Holistic Management. The decision to stay on the farm and learn to manage it holistically was made in late 2011. Since then, Jonathan and his family have been on an amazing journey of learning and discovery. The farm is now home to Jonathan’s parents, his sister’s family, Kaylyn’s parents along with Kaylyn and Jonathan. The family manages multiple enterprises of grass-finished beef, a cow/calf herd, grass-finished lamb, breeding ewes, pastured pork, and pastured eggs. Jonathan also works as a soil health consultant and works with Green Cover Seed as a cover crop consultant for Texas and the southeastern U.S. He currently serves on the board of directors for The Grassfed Exchange. “HMI played a very important role in the direction of my life personally and also our family farm. Because of the gratitude I have for the organization’s role in our lives and the global impact HMI has and has potential to have in the future, I felt a deep sense of honor and duty to accept the invitation to serve HMI as a member of the Board of Directors,” says Jonathan. Guy has been an HMI Certified Educator for over two decades. He manages the Mesquite Grove Ranch in Snyder, Texas and owns Glosson Livestock. 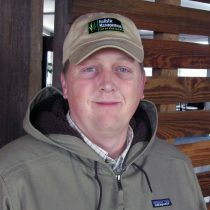 Guy has experienced the immense benefits of Holistic Management Planned Grazing and has become one of HMI’s premier educators and consultants, having worked with farmers and ranchers all over the country, Africa and Mexico, teaching Holistic Management and helping producers better handle their animals. Wayne is a beef farmer and manages his family ranch and cattle breeding operation just north of Johannesburg, South Africa. He was introduced to Holistic Management through his parents, but developed his own passion for it in 1998, becoming an HMI Certified Educator in 2007. Wayne has experienced firsthand how the principles of Holistic Management have huge impacts on ecosystem productivity as well as economic health of his own operation – saving his family ranch. Wayne wants’ to see this “magic” spread around and multiplied and sees HMI as a great organization to do this. Hailing from Springfield, Illinois, Walter is a CPA with an “agriculture niche.” He believes our soils are a piece of the biological capital farmers and ranchers manage in order to have the profitable impact to promote thriving rural communities. Walter became acquainted to Holistic Management after winning a Holistic Management class in a drawing. He has a passion for healthy soil and sees Holistic Management as a way all land stewards can regenerate degraded land. Walter has been a HMI Board member since 2014. Danny holds the John T. Jones Chair of Economics at Austin College in Sherman, Texas where he is the Director of the Freshmen Seminar Program, Director of the Will Mann Richardson Lectureship Series and Austin College’s Director of the Jno T. Owens Conference. Danny began attending HMI workshops in preparation for teaching a course in Environmental Economics and these helped enforce his understanding of sustainable land management. Danny is a founding member of the Council for Healthy Food systems and in coming onto the HMI Board; Danny is particularly focused on how HMI can better connect with higher education. He hopes to erect effective and formal programs that help aid younger generations in better understanding sustainable and holistic resource use. Danny is currently serving as HMI’s Board Chairman. Robert Potts is the President and CEO of The Dixon Water Foundation – a foundation whose mission is healthy watersheds through good land management. They operate two research and demonstration ranches in Texas. Robert has been a long-time member of the Holistic Management network through his work with the Dixon Water Foundation. The Foundation practices and promotes holistic grazing management on their demonstration ranches. He lives in San Antonio and Fort Davis Texas with his wife, Lana. They have a 27-year-old daughter, Rebecca. Robert is excited about joining HMI’s Board to help influence the wider adoption of HMI programs as that in turn would further the Dixon Water Foundation mission. 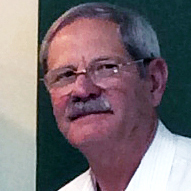 Jim and his wife, Sara, live in Vinita Oklahoma where they operate a cow/calf and stocker cattle ranch.. Jim spent 35 years in the banking industry, retiring in 2010, but continues to use his professional experience as HMI’s Chair of the Finance and Audit Committee. Jim became interested in Holistic Management in the late 1980’s after reading about how Holistic Management was being used in the Southwest. Shortly after, he took a Holistic Management course and has since been integrating the HM principles into his own operation. Jim firmly believes that as HMI moves forward with its educational offerings that we will be able to provide a positive impact on landscapes and the people and families that are on the land. Kelly and her husband, Mike, live near Lloydminster, Alberta, Canada where they operate a family ranch running owned and custom yearling cattle with a small cow herd. They also have another ranch near Debden, Saskatchewan. Kelly has been involved with Holistic Management for close to 25 years. She became a HMI Certified Educator in the late 1980’s and has taught a number of courses and work with many family producers and management groups. Kelly writes the Cow Trails and Pony Tales blog and has recently started a unique event business, doing local food events, cowgirl retreats, a women’s conference and more. Kelly’s father, Dennis Wobeser was an HMI Board member and upon his end of term, Kelly took his place as HMI’s Canadian representative. Sarah operates a small vegetable farm in Walton, New York. She participated in HMI’s Beginning Women Farmers program, eventually serving as the programs New York State Coordinator. Sarah is currently completing her Certified Educator training. Through her experience with the Beginning Women Farmer’s program, Sarah came to believe deeply in the practice of Holistic Management as a tool for new and small farmers to succeed. She came onto the HMI Board in November 2015 because she has had such a positive experience working with the HMI staff and wishes to participate more deeply in the workings of the organization. William Burnidge is an integral leader in both The Nature Conservancy’s Colorado state program and North America Agriculture program. As the Sustainable Grazing Lands Program Director for Colorado, his work involves building and testing tools to improve conservation, business and quality of life conditions on commercial cattle ranches. William also strives to define and improve incentives that advance sustainable practices. Integral to his job, William collaborates with NGO, agency and beef value chain partners to share and support proven tools and approaches that advance sustainable grazing goals. Among his many career accomplishments, William’s successful 10-year management of the Conservancy’s 14,000-acre Fox Ranch as both a nature preserve and a commercial ranching operation has positioned him as a well-respected and sought-after expert on the integrated management of grazing lands. In 2017, William – in addition to his Colorado program work – began working as a Sustainable Grazing Lands Coda Fellow for the North American Agriculture Program. He is providing much-need insight and technical guidance to promote the use of conservation planning among key players in the beef supply chain to achieve significant environmental, social and economic benefits. 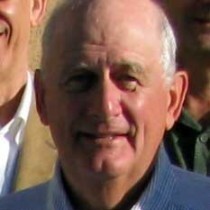 Since joining the Conservancy in 2005, William’s list of accomplishments include advancing the sustainable use of the Ogallala Aquifer in Colorado, protecting vital lands in northeast Colorado with conservation easements, and helping shape renewable energy strategies for the Colorado state program and the North America region. He also managed the Conservancy’s relationship with the Colorado State Land Board, providing technical guidance for its energy development programs, support for management of its large ranch assets, and input to its stewardship programs and policies. Prior to joining the Conservancy in Colorado in 2005, William worked in consulting and with the U.S. Business Council for Sustainable Development to advance large corporate sustainable development projects. He earned his MBA and MS in Environmental Policy at the University of Michigan and his BS in Wildlife Management and Biology at the University of Wisconsin – Stevens Point. Outside of work, William enjoys life in Colorado with his lovely wife and two delightful daughters. 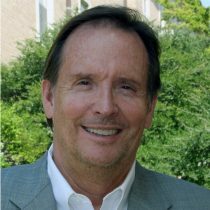 Sallie Calhoun attended Rice University and graduated with a BSEE in 1977. She moved to the Bay Area immediately after graduation and worked in the high tech industry for 25 years. Since 2000, Sallie has been involved in a variety of activities in the fields of local, sustainable agriculture and philanthropy, serving on numerous for profit and non-profit boards. Sallie is an avid tennis player and hiker and enjoys traveling. Sallie and her husband Matt have two children and live in Paicines, California. Ron Chapman, founder and principal of Magnetic North LLC, www.MagneticNorthLLC.com, is an inspirational and motivational speaker and consultant specializing in organization development and personal and professional growth. The core of Holistic Management is getting to root causes, he says, and that likewise forms the core of Ron’s consulting work. The phrase he uses over and over again with clients is: “An incomplete understanding of any problem or situation will always lead to an incomplete solution or action. But when complete understanding occurs, appropriate actions become readily apparent.” Ron is an award-winning speaker and workshop leader as well as a long-time public radio commentator, winner of the 2004 and 2001 National Federation of Press Women Award for Personal Commentary and the 2002, 2003 and 2004 Best Radio Feature Awards from the New Mexico Broadcasters Association for his radio programs exploring social and cultural concerns, including Holistic Management. He is also the author of four books, and three audio sets which focus on creating new perceptions and thereby transforming our lives and the organizations of which we are a part. Ron holds a Masters Degree in Social Welfare from the University at Albany (New York), a Bachelors Degree in Business from Valparaiso University, and Toastmasters International’s highest recognition of International Accredited Speaker. His clientele includes non-governmental organizations like the World Health Organization, non-profits including Habitat for Humanity, government units such as the Centers for Disease Control and Prevention and private sector organizations including HealthSouth Corporation. From 2004 to 2014, Ron served as a member of the Board of Directors of HMI, which includes three years as Chair. In recent years he has launched a new initiative, www.SeeingTrue.com, which is a platform for transformational perspectives and a budding forgiveness practice. Deborah Clark and her husband Emry Birdwell run a stocker operation of 5,000–7,000 head on the 14,000-acre Birdwell & Clark Ranch in Clay County, Texas. The enterprise mix consists of 2,000 stocker cattle on leased wheat acres and one herd of approximately 5,000 head at the ranch using a high density grazing management plan. The primary goals of the grazing practice are to consistently improve range conditions, soil health, and cattle productivity. A secondary interest is assessing and monitoring the impact of high density grazing on wildlife and habitat with a focus on bobwhite quail. Emry has been a practitioner of Holistic Management since the early 1980s and Deborah has been involved in Holistic Management since 2009. As a Certified Educator Deborah works to help others learn to manage their resources in a way that keeps the business, land, family, and community healthy. For nearly 35 years, Alisa Gravitz has led Green America, the national green economy organization. Green America develops marketplace solutions to social and environmental problems with a key focus on climate, sustainable agriculture, fair trade and responsible finance. Green America operates the nation’s largest green business and consumer networks. Ms. Gravitz is a leading expert on how families and businesses can “go green,” saving money and resources. She is also a nationally recognized leader in the social investment industry. She authored Green America’s acclaimed Guide to Social Investing, with over a million copies in print and the popular Guide to Community Investing. As part of Green America’s Center for Sustainability Solutions, which focuses on transforming supply chains, she also co-chairs innovation networks on carbon farming, sustainable agriculture and clean electronics. Ms. Gravitz’s board service includes Ceres, Positive Future Network, Network for Good, Non-GMO Project and Underdog Foundation. She earned her MBA from Harvard University and her BA in economics and environmental sciences from Brandeis University. Green America is a 501(c)(3) nonprofit organization. Clint Josey was raised in Dallas, Texas. He attended Massachusetts Institute of Technology, United States Naval Academy, University of Texas at Austin, and Southern Methodist University and earned a B.S. in Petroleum Engineering and M.S. in Mathematics. Clint has worked as an independent in oil and gas exploration from 1954 to present. Beginning in 1974, Clint bought ranches in Cooke County, Texas and has always been interested in good land stewardship. He became interested in Holistic Management in 1983 through Allan Savory. Clint began serving on the Board of Directors of the Center for Holistic Resource Management in 1984. In 2007, Clint became Vice-President and Chairman of the Board of The Dixon Water Foundation. Greg Judy and his wife, Jan, run a grazing operation on 1620 acres of leased and owned land in Missouri. They use Holistic High Density Planned Grazing to graze cows, cow/calf pairs, bred heifers, horses, sheep, pigs, and stockers. They direct market grass-fed beef, lamb and pork. Greg wrote NO RISK RANCHING, Custom Grazing On Leased Land” in 2001. In 2008 Greg wrote a second book COMEBACK FARMS, Rejuvenating Soils, Pastures and Profits with Livestock Grazing Management. Greg has given numerous talks and schools all over the United States on the benefits of Holistic High Density Planned Grazing, leasing land, multi-species grazing, custom grazing and wildlife management. The Judys hold Holistic High Density Grazing Schools at their farms teaching the principles of HHDG. Greg quit his off farm job in 2009 and is now a full-time rancher and consultant. Carter F. Randolph, Ph.D. has been engaged in agriculture for most of his life. At age 13 he began his agricultural career as a farmhand for Louis and Louise Nippert on the Greenacres Farm. He then attended the University of Cincinnati and received his MBA in 1979 and his PHD in Finance in 1986. In 1988, he assisted Louis and Louise Nippert in establishing the Greenacres Foundation and became the first employee. Today, he is a Founder, Trustee and President of Greenacres. Greenacres farm activities include multi-species grazing (In Practice Article in January/February 2009, #123) and vegetable production. In addition, Greenacres provides customized experiential learning opportunities for area school children and in 2015 hosted over 28,000 visitors. Each program at Greenacres is designed to meet the needs of the classroom teacher and utilizes sustainable agriculture, environment, water quality, equine, cultural arts and culinary arts to design the hands-on experiences. Greenacres is located in Cincinnati, Ohio and serves children from the inner city and suburbs. Allen Williams is a 6th generation family farmer and founding partner of Grass Fed Insights, Standard Soil, Soil Health Consultants and Soil Health Academy. He is also a partner in Joyce Farms, Inc. He has consulted with more than 4200 farmers and ranchers in the U.S., Canada, Mexico, and South America on operations ranging from a few acres to over 1 million acres. Allen pioneered many of the early adaptive grazing protocols and forage finishing techniques and has spent the last 15 years refining those. He is a “recovering academic”, having served 15 years on the faculty at Louisiana Tech University and Mississippi State University. He holds a B.S. and M.S. in Animal Science from Clemson University and a Ph.D. in Livestock Genetics from Louisiana State University. He has authored more than 400 scientific and popular press articles, and is an invited speaker at regional, national, and international conferences and symposia. Major areas of research and business focus include soil health, cover crop/livestock integration, adaptive forage & grazing management, high attribute pasture-based meat production, and alternative marketing systems. Allen and his colleagues specialize in whole farm and ranch planning based on the concept of regenerative agriculture. Their approach creates significant “value add” and prepares the landowner for multiple enterprise/revenue stream opportunities that stack enterprises and acres. This approach allows for enhanced profitability and/or investment value. They routinely conduct workshops and seminars across North America. He is featured in several of the Carbon Nation film series, “Soil Carbon Cowboys” (www.soilcarboncowboys.com) and has a recently released book co-authored with Teddy Gentry, “Before You Have A Cow”. Allen is a regular contributor to GRAZE and The Stockman Grass Farmer and has written articles for the “Organic Broadcaster” and many other publications. 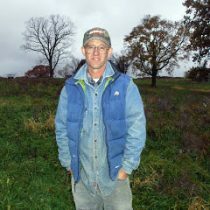 Several of his presentations and webinars can be found on the Pasture Project website at www.pastureproject.org. He currently serves on the Board of Directors of the Grass Fed Exchange and the Mississippi Sustainable Agriculture Network, is a Core Team Member of the Pasture Project, and Co-Investigator for Team SoilCarbon. He also serves as an officer in the Starkville Civitan Club and is active in his local church. Our Certified Educators undergo a rigorous 3-year training program in order to effectively consult with farmers and ranchers, teach workshops, practice Holistic Management in their own operations, or otherwise help further the practice of Holistic Management. Click here to find a Certified Educator who can help you or your community grow and thrive. HMI is an Albuquerque-based international 501c3 non-profit organization founded in 1984. We are committed to accountability and transparency. Copies of audited financial statements and IRS Form 990 are available upon request. Contributions are deductible to the full extent of the law. At HMI, we believe it’s important to keep our supporters informed of the impact of their contributions are having on the lives of farmers and ranchers. Detailed information can be found in our Donor Reports. We Love Diversity in ALL Species! HMI is committed to engaging and supporting a diverse community of holistic managers—people who recognize their responsibility helping to create healthy land, healthy food, and healthy lives. HMI recognizes that diversity in nature is a critical criteria for the health of the ecosystem. For that reason we have a policy and practice of inclusion and acceptance not limited to race, ethnicity, socioeconomic status, gender identity and expression, sexual orientation, religion, disability, and place of origin.